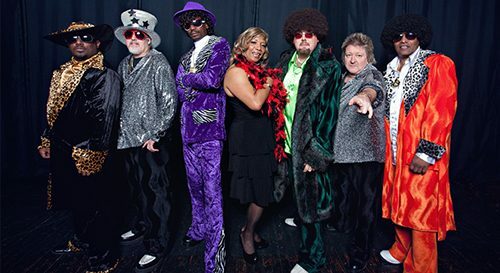 No matter the occasion, you can’t resist the dance floor when Groove Train takes the stage. Groove Train will captivate you with an exciting blend of music from the days of disco, groovy costumes, outrageous hairstyles, and showmanship. Groove Train will take your next event on a fantastic voyage back in time. Interactive, high energy and always fun! Groove Train loves to perform & it shows! It’s funky. It’s wah wahs. It’s platform shoes. But most of all….. IT’S A PARTY.